Tree and Grounds Maintenance Ltd - Garden Services, Tree Surgeon based in Ashford, Kent. 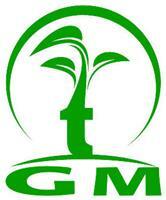 TGM has a team of fully qualified, professional tree surgeons and gardeners led by David Lowe. We offer an honest, reliable service which results in many of our customers coming back time after time. TGM offers all types of tree care, maintenance and ground work from hedge trimming, grass cutting and clearance, to tree felling, pruning and stump removal. We are CHAS registered (what does that mean). It is a pre-approval scheme, which allows contractors to demonstrate to potential clients like yourselves that they meet the required health and safety standards. We are specialists in all forms of tree care, carried out to BS 3998 standards utilizing the latest technology and techniques. We liaise with Local Authorities for planning, tree preservation orders (TPO’s)and Conservation area applications. We cover all areas of Kent. We are proud of our commitment to environmental factors, quality, and health and safety factors. All waste from our tree works are removed from site and are recycled into organic products, some of which is utilised as eco-friendly bio-fuel. We are able to provide Method Statements and Risk Assessments for all situations. Please call TGM for free advice, estimates and quotations.